MILO WEAVER has tried to leave his old life of secrets and lies behind by giving up his job as a "tourist" for the CIA -- an undercover agent with no home, no identity -- and working a desk at the CIA's New York headquarters. But when the arrest of a long-sought-after assassin sets off an investigation into an old colleague, exposing new layers of intrigue in Milo's old cases, he has no choice but to go back undercover and find out who's been pulling the strings once and for all. 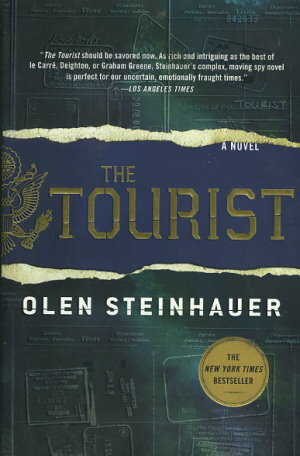 In The Tourist, Olen Steinhauer -- twice nominated for the Edgar Award -- tackles an intricate story of betrayal and manipulation, loyalty and risk, in an utterly compelling novel that is both thoroughly modern and yet also reminiscent of espionage fiction's most touted luminaries.